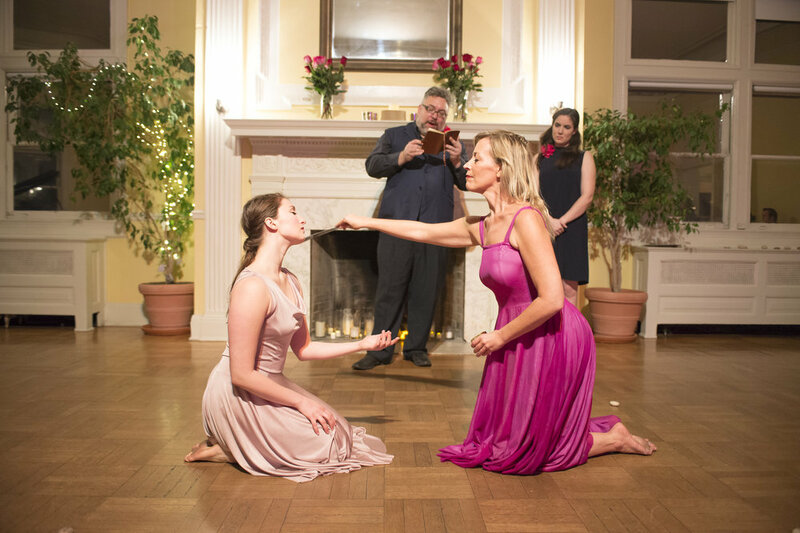 Word Dance Theater's Chambers of the Heart is a one-of-a-kind journey, transforming one of Washington DC’s most beautiful and historic mansions into a total immersive experience of love in its many manifestations. Through the weaving of dance, theater, music, opera, and media design, each room of the 1927 Renaissance revival mansion will be re-imagined into an environmental and artistic expression of the many ways love appears in our lives. Attendees of this unique performance will freely explore various scenes thus creating their own journey of emotion and remembrance both personal and collective. Chambers of the Heart is a ‘total and transformative experience’ full of powerful emotions and eye-opening adventures. "[Chambers of the Heart] left one with a lot to think about on the nature of performance - and how we relate to it." "Duncan was not known for constraint, she was known for passion. And at this Word Dance Theater succeeded. They truly put it all out on the table, and the audience ate it up."